Is bentonite clay safe? Can bentonite clay cause cancer? I have heard many people share how bentonite clay has helped their digestion of skin symptoms. It seemed plausible to me at first, but I had never really thought about it. 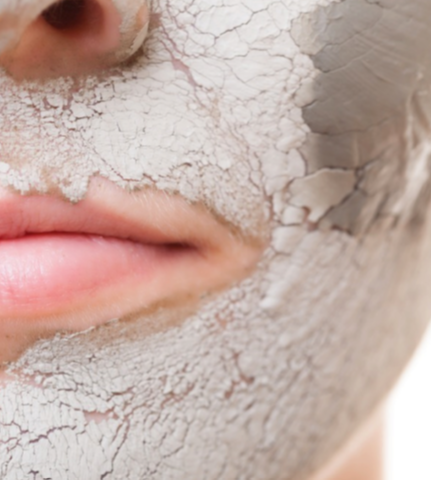 Today, I would like to share with you some bentonite clay dangers and uncover whether eating bentonite clay can cause damage to your body in the long-term. Recently, I heard a story about Megan Curran de Nieto, a fellow Minnesotan who was struggling to lower the blood lead levels of a local family. Despite avoiding typical lead sources, they did not seem to be coming down at all. Ms. Curran de Nieto was shopping in a nearby Target store when she noticed a product, called “Bentonite Me Baby”. She remembered that the family she was working with had been taking bentonite clay in hopes of detoxifying. Ms. Curran de Nieto became suspicious, bought the clay and sent it to a lab for analysis. Do we absorb lead from clay? But does clay detox lead? Clay does bind with lead when mixed outside of humans. This is a good thing when you’re trying to remove lead from water, but bad when you’re eating clay. When you eat clay, your stomach acid pulls most of the lead out of the clay and into your body. How much lead are we talking about? The FDA report found that bentonite clay contained up to 37.5 micrograms of lead per gram. Mcg/g is the same as parts per million (ppm). With an average oral dose of bentonite clay being 2 Tbsp. (0.72 ounces or 20.4 grams), this means your oral lead dose could be as high as 765 mcg. The amount of lead present in the commonly used amount of bentonite clay is less than half of the lead found in spinach. I read their source for lead in food, and it was the 2007 Study on Total Diet Study Statistics on Elements Results.8 You can see from the cited source that foods have much lower levels of lead. The above list shows the mean levels of lead in spinach and collards was 0.003 mg/kg and 0.001 mg/kg respectively. Note that mg/kg also equals ppm and is interchangeable with mcg/g. To make the most direct comparison, if you consume an average serving size of 100 grams, spinach would likely have no more than 0.3 mcg total lead per serving as opposed to 765 mcg from clay. How much lead is safe? What if you only use clay on your skin? Clay is commonly used as a skin treatment and in homemade cosmetics. I’ve also heard it argued that the lead in clay will not absorb across the skin. I would not recommend ingesting clay or applying it to infected skin or under the arms. I haven’t found any clear info regarding lead exposure from facial skin masks, but it may be a concern since the face also has dense concentrations of sweat glands. The absorption would likely be worse the longer the mask is left in place. Why is lead a big deal? Lead is one of the most thoroughly studied toxins and has been a bane to humans for millennia. Credible scientists have even blamed lead in the water as one of the principal causes behind the fall of Rome. In adults, lead can also slow our brains and affect mood symptoms, including depression and anxiety. Lead can cause vague symptoms like fatigue, numbness and tingling, digestive issues and joint pain. How do you know if you have lead toxicity? The easiest test to get is a blood test called serum lead. This test can be ordered by any healthcare provider and run by any standard referencing lab. This is the gold standard, and levels above 10 µg/dL are clearly unsafe. Do you remember the quotes above, stating there is no safe level? Every decade or so, the safety limit is lowered. Here is the drawback about the serum lead blood test: It is limited to exposure from the last several days. It won’t show lead from past exposure. My preferred test is an RBC lead test. RBC stands for red blood cells. Your red blood cells are in use for about 90 days. Therefore, the RBC lead test covers a 90-day average and can show more than a serum lead test can. This test is available through most naturopathic physicians and other holistic providers. Where else might you get lead from? The main sources include tap water, lead-based paint, household dust and lead-containing utensils, such as plates, cookware, and crystal glasses. These are huge concerns, but not my focus with this blog. I’d highly encourage you to visit the Lead Safe America Foundation to watch their movie, MisLEAD, to learn more. What are some other unexpected, possible sources of lead? Calcium supplements that are derived from bone tissue have often been found to have high levels of lead. These include bone meal and microcrystalline hydroxyapatite complex. When game is shot with lead bullets, the bullets break down into hundreds of tiny fragments that spread over a large area of the meat. A study found that 32% of packages of venison sampled contained fragments of lead. According to a 2013 study, one batch of organic chicken bone broth contains 9.5 and 7.01 mcg/L of lead.23 This study created quite a bit of attention and worry. Note that these are different units. Above, I was talking about lead in terms of parts per million (mg/g). The bone broth study used mcg/L (aka μg/L), which is parts per billion (ppb). To convert ppb to ppm, one must divide by 1000; therefore, 9.5 ppm = 0.0095 ppm. There is likely no safe amount of lead, but it is not possible to keep our total intake below a few ppb without eating or breathing. What can you use instead? I prefer clean versions of fiber, especially those with resistant starch, like the Reset Shake and Ultra Fiber. Combine either with chlorophyll from spinach or Daily Greens, and you’ll do a great job binding toxins and moving them out of your body without bringing more in. P.S. You know how scientists use clean rooms and biohazard suits? They are common when dealing with dangerous infections or delicate electronics. Did you know that the modern clean room was initially created to test lead? It was created because there was so much lead everywhere (starting in the 1920’s) that machines could not get an accurate reading on the amounts of lead in a sample without requiring a controlled environment. If you want to go deeper in this story, here is a 45-minute show from one of my favorite people, Neil deGrasse Tyson: http://www.dailymotion.com/video/x2idhlw. 1. Prentice AM. Clinical Implications of New Insights into Hepcidin-Mediated Regulation of Iron Absorption and Metabolism. Ann Nutr Metab. 2017;71(3):40-48. doi:10.1159/000480743. 2. Sales MC, de Queiroz EO, Paiva A de A. Association between anemia and subclinical infection in children in Paraíba State, Brazil. Rev Bras Hematol Hemoter. 2011;33(2):96-99. doi:10.5581/1516-8484.20110027. 3. Gwamaka M, Kurtis JD, Sorensen BE, et al. Iron deficiency protects against severe Plasmodium falciparum malaria and death in young children. Clin Infect Dis. 2012;54(8):1137-1144. doi:10.1093/cid/cis010. 4. Sazawal S, Black RE, Ramsan M, et al. Effects of routine prophylactic supplementation with iron and folic acid on admission to hospital and mortality in preschool children in a high malaria transmission setting: community-based, randomised, placebo-controlled trial. Lancet. 2006;367(9505):133-143. doi:10.1016/S0140-6736(06)67962-2. 5. Faller G, Winter M, Steininger H, et al. Decrease of antigastric autoantibodies in Helicobacter pylori gastritis after cure of infection. Pathol Res Pract. 1999;195(4):243-246. doi:10.1016/S0344-0338(99)80041-7. 6. Sassi F, Tamone C, D’Amelio P. Vitamin D: Nutrient, Hormone, and Immunomodulator. Nutrients. 2018;10(11):1656. doi:10.3390/nu10111656. 7. Lu R, Wu S, Xia Y, Sun J. The Vitamin D Receptor, Inflammatory Bowel Diseases, and Colon Cancer. Curr Colorectal Cancer Rep. 2012;8(1):57-65. doi:10.1007/s11888-011-0114-1. 8. Fan M-S, Zhao F-J, Fairweather-Tait SJ, Poulton PR, Dunham SJ, McGrath SP. Evidence of decreasing mineral density in wheat grain over the last 160 years. J Trace Elem Med Biol. 2008;22(4):315-324. doi:10.1016/j.jtemb.2008.07.002.